Winter has officially come in all its frozen glory. With sub-zero temperatures over the last week I was thrilled to be warm and cozy indoors. What better way to spend your time then baking treats? 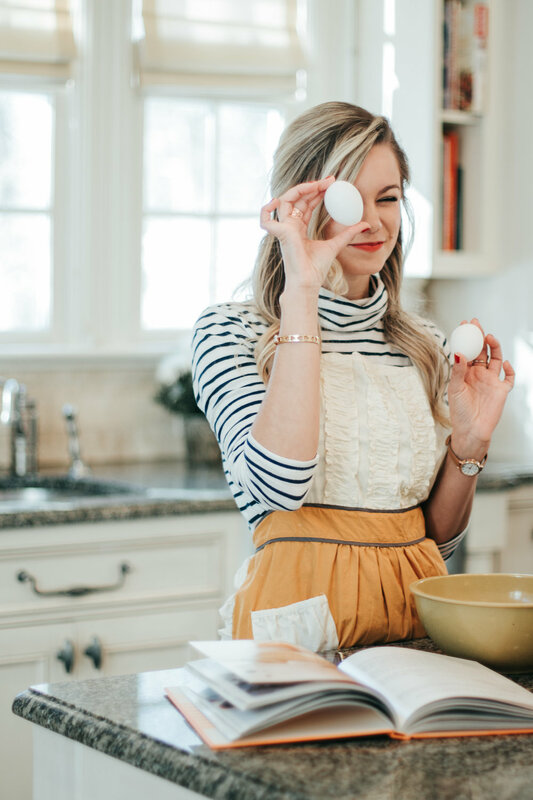 I’m low-key obsessed with The Great British Bake Off, so naturally when photographer and fellow fan Gabby Gordon suggested a baking shoot - I was all in! 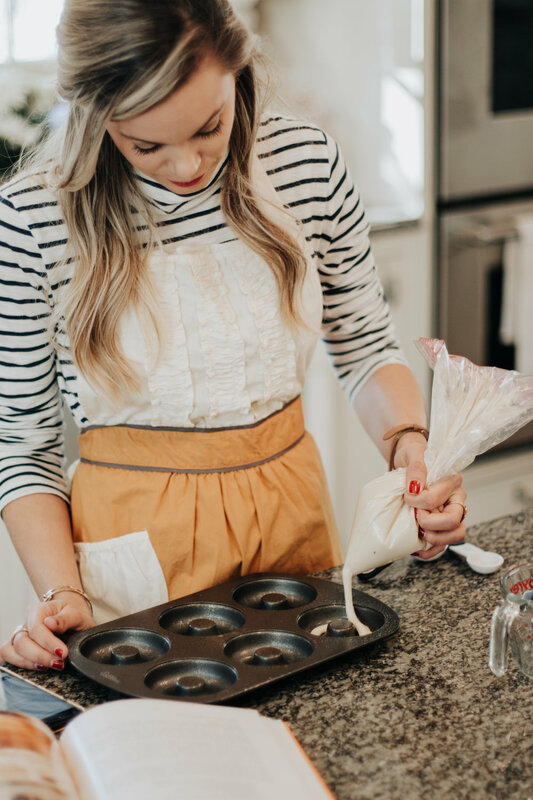 Realistically, being a fan of a baking show and being a “baker” are two very different things. Practice makes perfect, and donuts make excellent practice! 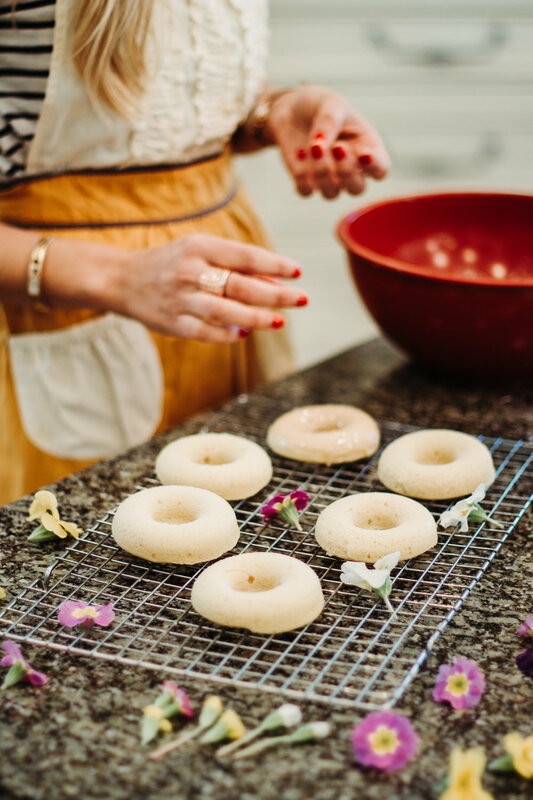 My goal for this showstopper was to make fun and festive looking donuts for any occasion. Homemade Icing - l did a sugar glaze from aseasyasapplepie.com, but next time I’ll look into different flavors such as maple, chocolate, or Nutella. Get creative with toppings and flavors! Edible Flowers - During warmer months they can be found in the herb section of most grocery stores. As they are out of season, Gabby looked up edible flowers and cut them right off a plant she bought in the floral section. Wilton’s Edible Glitter - I found edible sprinkles + gold dust at Michael’s Craft Store (because festive). Fruit - Not pictured here, but fresh fruit is a lovely accent to any treat! Dipping the Donut - To add icing simply dip the donut into the icing bowl and give it a quick swirl. Make sure to add your toppings right after dipping so they will stick. You can use more powdered sugar in the icing to get the desired thickness. In my first icing batch I found the consistency was too thin and it absorbed right into the donut. Don't be afraid to double dunk! I was gushing over these photos and their edits, it’s such a joy to work with talented photographers. Take a peek at Gabby’s site for more of her beautiful work, https://www.gabriellagordonphoto.com. Now with all this inspiration (in the words of the hosts)….on your marks, get set, BAKE!